“Tell me a story that’s been significant to you in the past year.” “Well,” I said to the conductor. “I was in religious life for two and a half years and left last February.” I told her about my discernment to leave and the fears I had about the uncertain future, whether I’d have a support network like I had the last couple years, whether I’d meet my soul mate, and if I’d be able to remain in ministry. “If you could give this story a name what would it be?” she asked. “A Life Change, Again” I said. The four actors got up and began acting out my story in various scenes. One scene was of bricklayers, laying out a beautiful path. Another was of two people in a boat, rowing somewhere. One of the bricklayers began delicately placing bricks before her feet and carefully stepping on them, straying from the original path. “I’m going to go on this road…” she said with caution in her voice. Meanwhile her onlookers spoke encouragement. “Okay! Yes! There’s going to be someone at the end of that road, too!” Back in the boat the duo spotted the shore of an island. You could feel their excitement as they arrived to discover trees full of delicious coconuts and pineapples. This was my first experience of non-comedic improv theatre called Playback. It had its genesis in 1975 when a theatre student and a musician came together to create a way for people to let their stories be heard. Each performance includes the actors, the audience, a teller from the audience who shares a story, and a conductor who listens and asks the teller clarifying questions. My experience as a teller was at a rehearsal of the Boston Playback Company, a troupe that has performed for churches, homeless shelters, schools, and at corporate events. 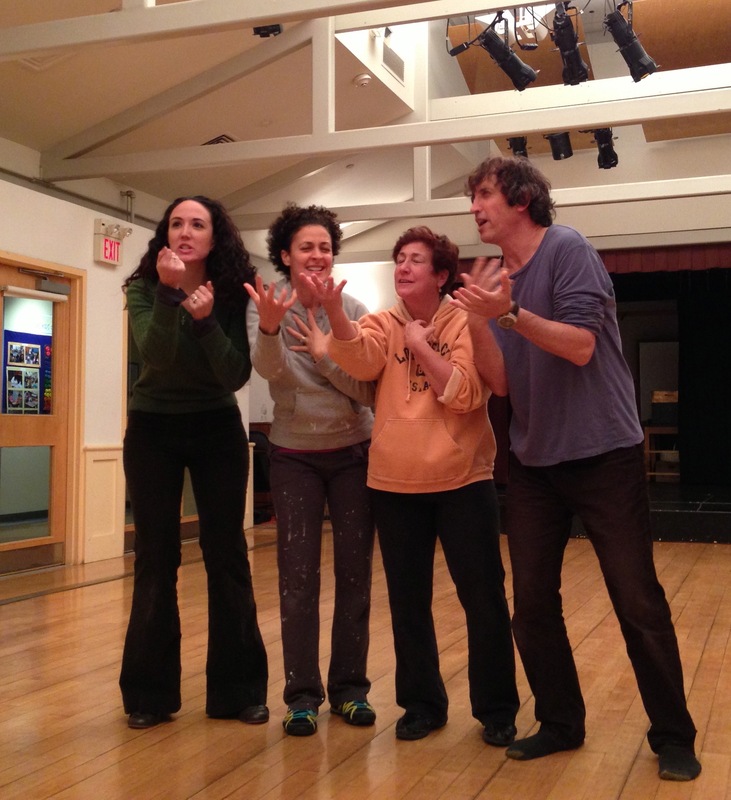 Playback’s core is empathy and honesty, and it has strong ties with fields like drama therapy. It has been found to act as a method of healing and community building, among its many benefits. Nancy Capaccio, a co-director of the troupe, says that Playback offers a chance for community building by the simple witness of stories of the human condition, stories they can relate to. “It is rare in our society to be heard with such compassion, and yet at the same time, without attempts to ‘make things better’,” she says. Julia Kennedy is a member of the Vineyard Living Stories, a Playback group of the Greater Boston Vineyard church that meets regularly with the mission to perform for groups among the homeless or the youth. “I want to be a tool in God’s hands,” she says. “Letting Him use my body, voice, mind, and emotions to serve others.” Playback has become, to some, a spiritual practice through the honouring of people’s stories. When a teller sees their real life story performed before their eyes they often discover new insights. “It is affirming for tellers to have a group of people hear, understand, and validate their personal life experiences,” says Michelle Mount, another Vineyard group member. 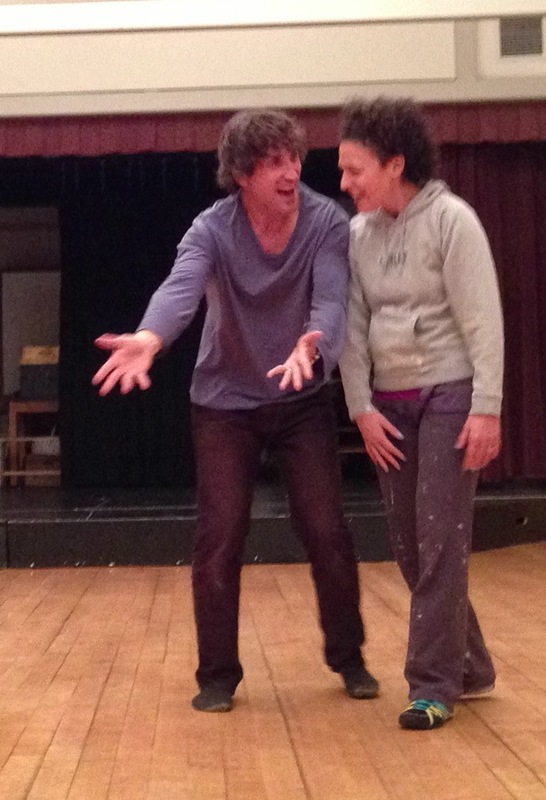 What touched me at the rehearsal was the care taken to understand my feelings and delve into it. It has a very sacramental nature. During one exercise the group was given various voting day stories along with their emotions. Standing tightly together the group as a whole cycled through each emotion with their words, actions, and expressions, giving a broad experience of voting day from several perspectives. Afterwards, one actor asked that the group not rush from one story to another. “Let’s dig deeper into the feeling,” he said. After each playback the conductor asks the teller if the playback matched their feelings and story. If not, the troupe re-does the scene as a way to complete the commitment to the teller’s story. In the stories I shared that night during rehearsal, I was profoundly touched by the performers’ careful selection of metaphors, expression, and physical action to portray my feelings. I am reminded of Saint Ignatius who encourages Christians to explore those truths beneath our life’s stories and feelings. There’s a sense of sight being restored, even with a worn story you seem to know so well. Playback reminds us that our stories are never worn but contain truths that knit us all together.